Fun, bright practical and a very jolly outdoor table which will hold your Fatboy parasol - amazing! Great sized table to seat around 4/6 people depending on the chair sizes. 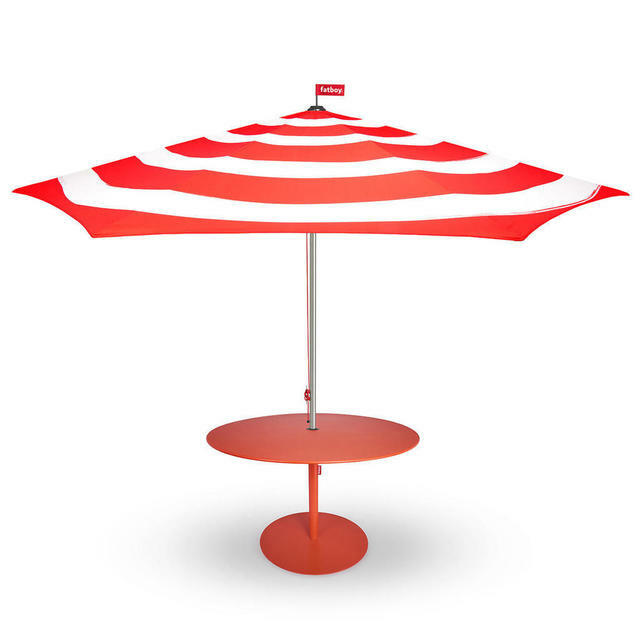 The table top is complete with parasol hole and will take any of the Fatboy parasols. 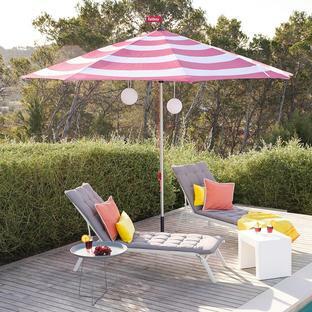 Choose from 6 different Fatboy colours and coordinate with a jolly parasol from the Fatboy collection. If you need chairs to team up with the table, although Fatboy do not do matching chairs, you will find some complementary colourful bistro chairs as part of our Fermob Bistro collection, see here. 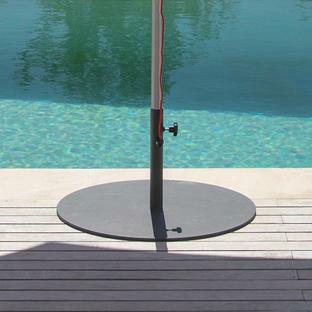 If you need more advice about our Fatboy ranges, please call us on 0345 605 2505. Galvanised metal powder-coated with a rubber floor glide base. The table top is 120cm in diameter. 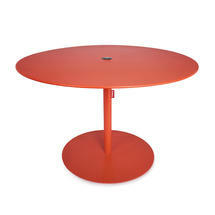 The table base is 74cm in diameter. 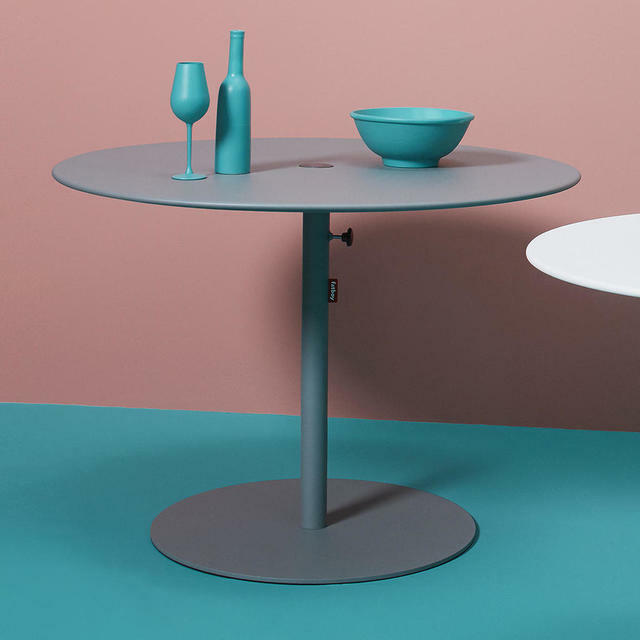 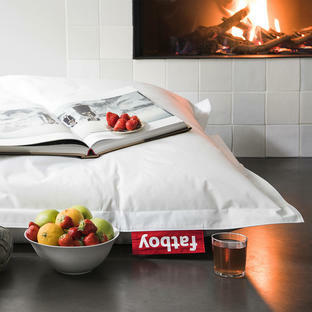 There is plus stopper for the table if not being used with a parasol. 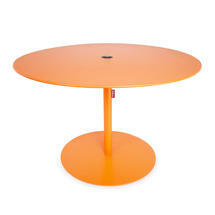 The table plug has a magnet so it is easy to store under the table top if a parasol is being used in the table.